America elected Abraham Lincoln as their 16th President on the 6th of November, 1860. 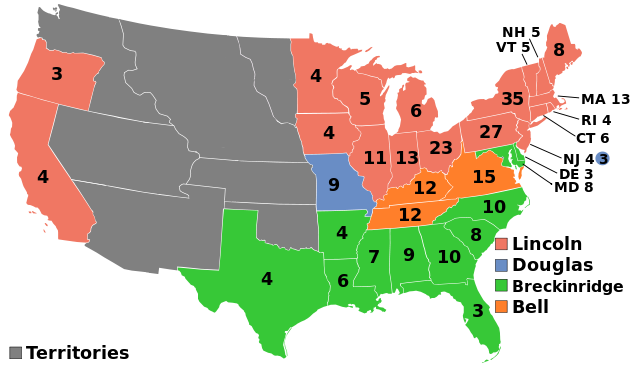 The United States was on the verge of Civil War, at the time, and his election put Lincoln into the White House when the country was deeply divided between North and South. Lincoln, who was President from the start to the end of the War between the States, already had a beard when he and his family moved into the White House. This image depicts what is believed to be his first official portrait as President. The document, at the top of the page, contains some of the most memorable phrases from Abraham Lincoln's first inaugural. It is the last page of that address. The edits are in the President's own handwriting. Until the final draft, Lincoln's address had ended with a question for the South: "Shall it be peace or sword?" Click on the document image for a much better view. Document image and quoted passage from the Library of Congress - American Treasures of the Library of Congress. 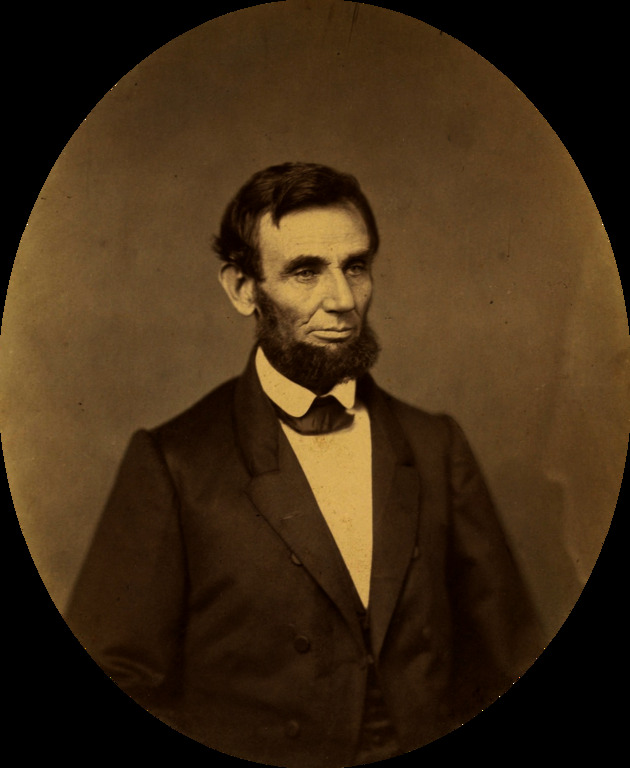 Image of President Lincoln: Salt print. Ostendorf O-55. It is believed to be the earliest presidential portrait of Lincoln, taken sometime between 1 March 1860 and 30 June 1860. Online via Library of Congress.